I’d like to talk about The Whisky Drinker. But before I do that, let’s talk about all the other drinkers. The tequila drinker, for instance, likes to party. The gin drinker is long-suffering and has a cat. The dark rum drinker has been on a Caribbean vacation within the past year. The absinthe drinker is hopeful. The Armagnac drinker probably has a political science degree. The light beer drinker has recently been told by a medical professional that he should join a gym. The whisky drinker, however, contains multitudes. Don’t worry, I promise this won’t switch gears into That Feminist Screed. Nor am I going to launch into marketers’ jargon (ie: 'the coveted 21-to-35 demographic.') 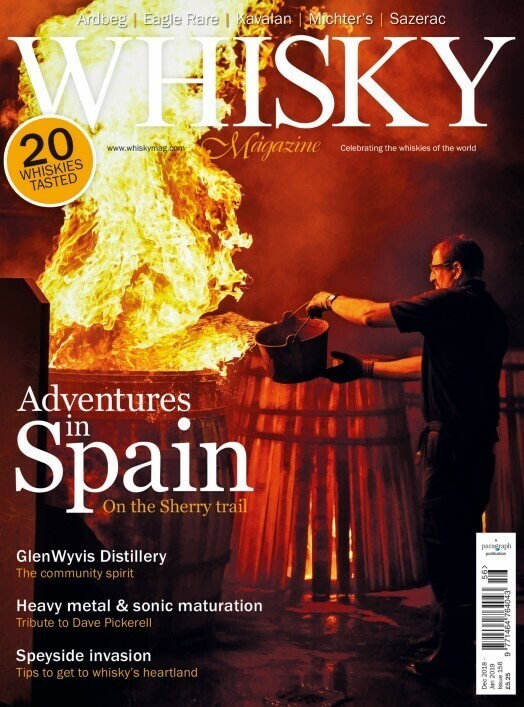 I’m talking about how in bars and restaurants and at festivals across the world, I have shared drams with doctors and labourers, teachers and students, chefs and distillers, techies and Trekkies. Those encounters all had one thing in common: nobody ever spoke about fitness or health. I believe my encounters with friends and strangers wherein I’ve talked about everything from politics to fashion trends to gossip to travel to our personal lives to food and cocktails and, of course, whisky, are out of the ordinary. So you can imagine that when people talk about whisky, or for that matter any alcohol, being ‘healthy,’ I cringe. Let’s get one thing straight, please, alcohol is alcohol is alcohol. If you drink too much of it, regardless of what you ferment and whether or how many times you distil it, it will impair your judgement, upend your centre of gravity, and convince you that the most irritating person in the room is the life of the party. Articles on alcohol and health that appear in mainstream publications can be, when taken as a whole, confusing at best. Alcohol will reduce your risk of cancer. It will increase your risk of cancer. It will reduce the chances of heart disease. It will increase the risk of heart disease. It will help you live longer. It will shorten your life span. And so on. Case in point: An article in the Los Angeles Times in April with the headline ‘These five healthy habits could extend your life by a dozen years or more, study says,’ places moderate drinking alongside healthy weight and exercise as ways to live longer. Yet the fact is that in America, alcohol and its attendant consequences still take more lives than opioids in a year. According to an article in Philly.com, the website of the Philadelphia Inquirer, the city’s daily paper, researcher Christina Mair, who specialises in alcohol use and the associations between drinking and a wide range of problems, wrote ‘the idea that moderate drinking may actually confer health benefits has taken hold in the past two decades, backed up by some preliminary evidence. This led to the often-mentioned notion in the popular press that a glass of red wine a day reduces the risk of cardiovascular disease and diabetes.’ But this, she notes, has to do with flaws in studies and what variables are controlled. In the past year I’ve received press releases proclaiming health benefits of various spirits. Gin, I’m told by one brand, is healthy because there are a mix of berries considered 'superfoods' in the botanical mix. I’m also told that mixing any spirit with a green juice is nutritious. Now, of course, nobody would mix Bourbon or Scotch with kale juice, so that puts us brown spirits drinkers ahead in the logic game. Want proof that whisky drinkers know better than to go searching for health benefits where they do not exist? Compared to other alcohols, searching ‘whisky’ and ‘health’ yields the lowest search results, a mere 32,100,000. (“Whiskey” gets you 53,700,000) I say ‘mere’ because if you search ‘wine’ and ‘health,’ you get 669,000,000. Beer? 487,000,000 Gin? 79,000,000. In those numbers we have a point: the fact there are significantly fewer search results for other drinks indicates less interest. By my logic, this makes whisky drinkers the smartest of all. Whisky, after all, seems designed for savouring, for lasting. It’s mindful drinking, quite different from “healthy.” Trying to convince anyone alcohol is healthy is as worthwhile as pigeonholing personalities into cohort and assuming they all drink the same drink.